After exploring a variety of options for expanding this hundred-year-old church, it became apparent that the only solution that would provide the desired quality of worship space was the construction of a new church on the same site. 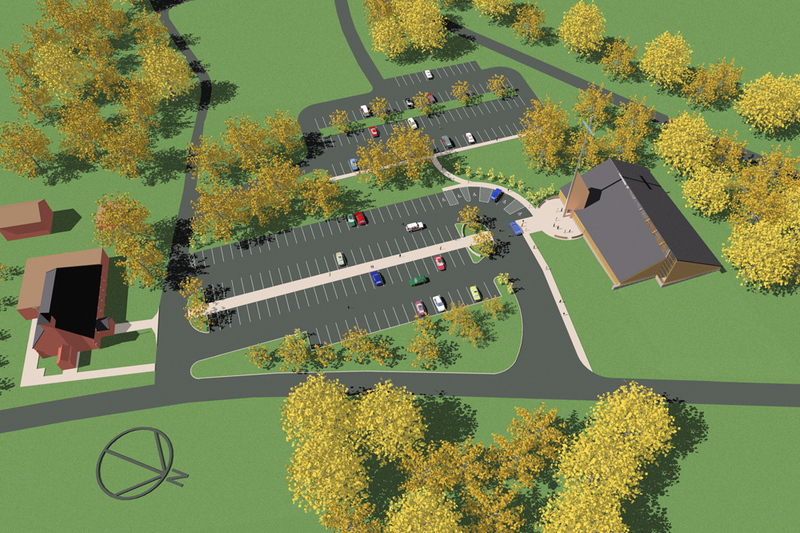 The new building will include a Worship Space for 600, expandable to 800, as well as gathering space and multi-use rooms. 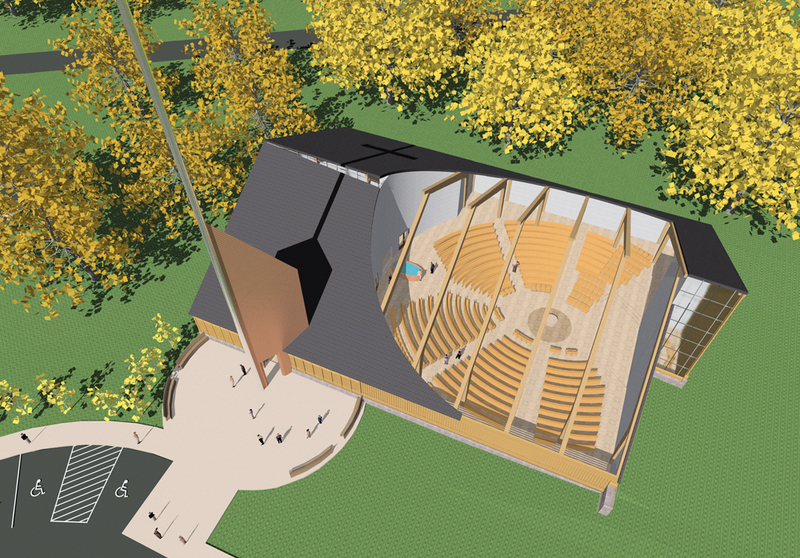 Seating in the Worship Space will be almost completely in the round. The former Worship Space will be converted into classrooms, meeting rooms and offices. A ceremonial path between the old church (left) and the new church (right) maintains a connection with the 100-year history of the current church, which will be converted to classrooms. The seating is not only horseshoe shaped but bowl shaped to allow maximum visibility of the liturgical action and other worshipers. 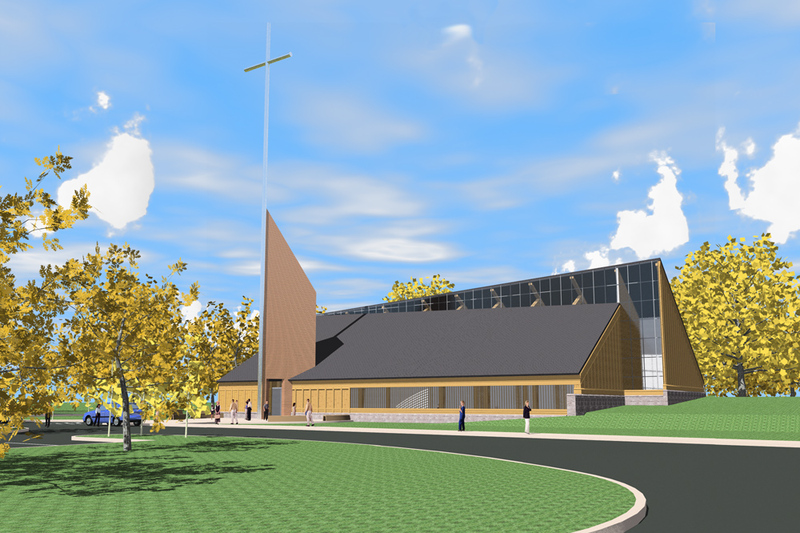 The ever-increasing space between the north and south roofs provides north light to bring natural light into the worship space, increasing as it approaches the Blessed Sacrament chapel.